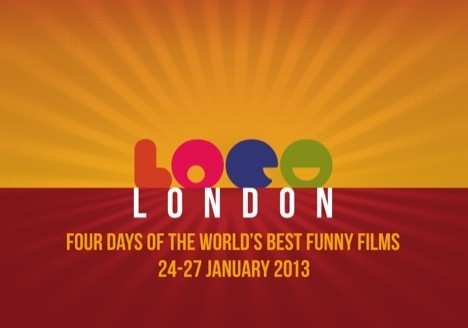 This weekend, London goes into full-on funny mode, with the return of the LOCO London Comedy Film Festival. With a programme mixing film premieres with artist discussions and kickstarter career seminars, there’s something for everyone, with guaranteed LOLing, to boot. We spoke with co-founder and programmer Jonathan Wakeham about the history of the festival, the outlook for British comedy of the future, and precarious joke-telling. LUKE RICHARDSON: Looking back, tell us how the LOCO Film Festival started out, and why you found it such an important addition to the burgeoning festival scene? JONATHAN WAKEHAM: My co-founder Denise and I love comedy. Audiences love comedy: it’s the most successful genre at the UK box office. But most film festivals ignore it, and it rarely wins awards. Even Cary Grant, Katherine Hepburn, Peter Sellers, Richard Pryor, Woody Allen, Bill Murray and Meryl Streep have never won Oscars for comedy performance, and only five comedies have ever won Best Picture. So we decided to set up a festival that championed the craft and talent that comedy requires. LR: You’ve managed to rope in some fantastic support, from film screenings at the BFI and Picturehouse cinemas, as well as special guests like Terry Jones and Sarah Silverman. How did you generate such great backing? JW: We’re incredibly grateful to the BFI, Film London, Creative Skillset, Benefit Cosmetics and our other partners for their support: LOCO couldn’t happen without it. We’ve been very lucky, but I think we’ve also been very focused; we’re very clear about our purpose, and how we plan to achieve it, which makes it easy for partners to decide if they share our goals or not. And the support of the comedy industry, whether that’s writers like Sam Bain and Jesse Armstrong, actors like Caroline Quentin or distributors like Momentum, is what really makes the festival possible. LR: This year’s LOCO programme rivals some of the big festival players. What one event are you most proud of snapping up? JW: One of our two key themes this year is women in comedy — the other is comedy from the far east — so I’m really excited about our Working Women day, which we’re running in partnership with Underwire, Funny Women and Benefit. The range of brilliant women sharing their stories, work and ideas is absolutely inspiring. LR: How do you see the state of comedy in Britain at present, and what do you expect for the future? JW: Training is really the heart of our work: the aim of LOCO is “to kickstart the next generation of British comedy film-makers,” not “to show people funny films”. Our training isn’t about making people funnier; it’s about helping them to navigate the industry, make the most of their gift, and find the best people to work with. There’s a lot of extraordinary talent in British comedy at the moment, and more channels than ever to share it; I think the challenge for anyone working in comedy is how to find your own voice and your own audience, and to grow and develop along with them. If you can do that, you have a career. LR: It’s fitting to end on a laugh, so tell us the best joke you know. JW: There are two teddies in an airing cupboard. Which one’s in the Army? The one on the tank. The LOCO Film Festival runs from 24-27th January across the capital city. Visit the website for more information, and take a look at The Frame Loop’s Top Picks of the programme. This entry was posted in Festivals, Films, Interviews and tagged BFI, british comedy, caroline quentin, Comedy, film festivals, jesse armstrong, jonathan wakeham, Loco film festival, loco london, momentum pictures, monty python, movie interview, peep show, sam bain, sarah silverman. Bookmark the permalink.